TomTom Spark Cardio + Music GPS Fitness Watch is a multi-sport/activity tracker watch with 3 GB storage to store up to 500 songs and designed to stream via Bluetooth headphones. Improve your training performance with real-time running stats and 3 unique graphical training modes.24/7 activity tracking.GPS tracking.Multisport mode.Indoor Training Mode.Automatic Sleep Tracking.Water Resistant.Interval Training.simple & intuitive controls.Goal setting. 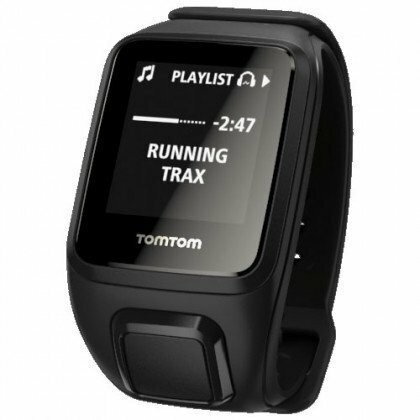 The TomTom Spark Cardio and Music Activity Tracker was added to the Fitness Activity Trackers category in June 2016. The lowest price GetPrice has found for the TomTom Spark Cardio and Music Activity Tracker in Australia is $420.93 from Amazon AU. Other merchants who stock it are Amazon AU, winc..